Snow leopards (Panthera uncia) are some of the most elusive creatures on this planet. Few humans have ever witnessed one, which is why this footage is so remarkable. 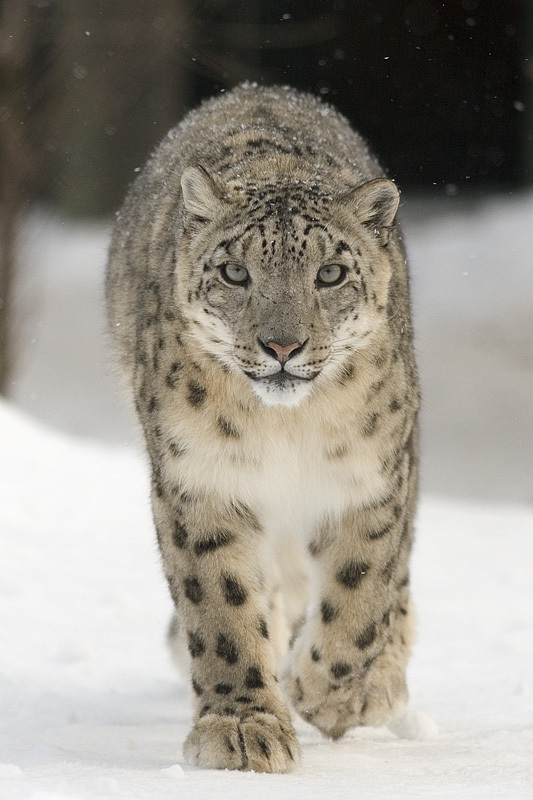 The Snow Leopard Conservancy had placed camera traps in India’s Hemis National Park for the PBS film Silent Roar. One of the traps must have been well-placed, because a snow leopard walked right up to it. This video on Earth Touch’s website shows the curious felid sniffing and pawing the camera. Then, towards the end, you can see a second snow leopard in the background. Once the first cat is satisfied with its investigation, the two walk off together. Click here for the original video and article. Prev Are Human-Wildlife Conflicts Really Human-Human Conflicts? I’m a terrible softy, with two domestic felines myself, but that video just makes me want to reach out and stroke the gorgeous creature. That’s the feeling I got too. I know snow leopards are wild animals and capable predators, but they seem so much more tame than other big cats. It might have something to do with their fluffy fur.